Leather tub chairs in a choice of leather colours and held in stock in Black or Brown SP leather only. Built around a solid frame and designed for commercial use. You can easily change the look of a room by being careful when selecting the furniture to go in it and where they are going to be placed. Tub chairs make any room look comfortable, spacious and cheerful, whilst black tub chairs could enhance the room and make it look more contemporary and modern. The way a room looks and feels is important when running a business as you want the diner to feel comfortable and enjoy their meal or drink so they will return over and over again. 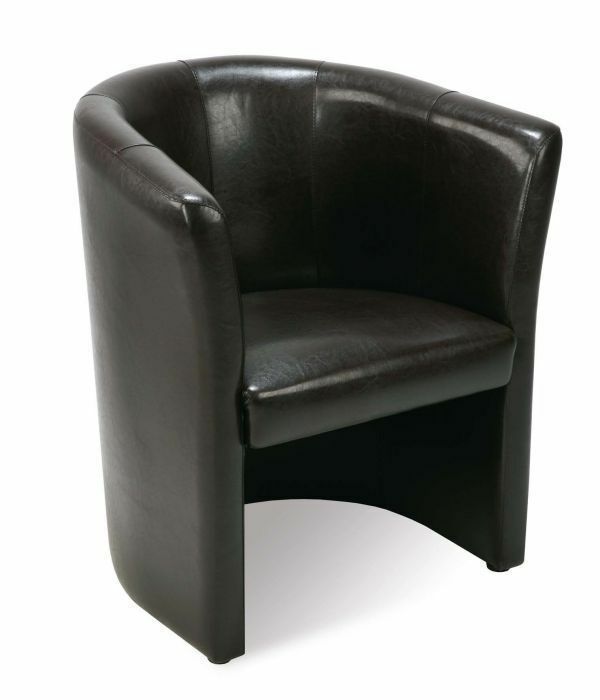 Leather tub chairs are an excellent choice as they are easily wiped down after each use and can withstand spillages. We offer a whole range of tub chairs, in all different colours and fabrics and so there is bound to be something to suit your needs. Black tub chairs are one of our most popular colours. Furniture tub chairs can be comfortable, modern and stylish and leather tub chairs are particularly popular. Leather tub chairs can also come in different colours and this means that you can choose the correct colour to accommodate your room décor. These furniture tub chairs can be used in restaurants, waiting areas and can even be seen in most trendy bars. 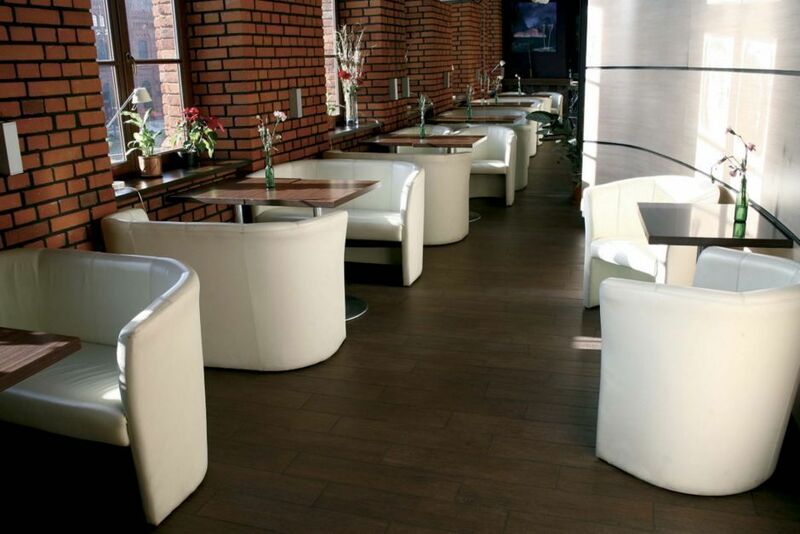 Anywhere that people may want to sit, relax and chat really. Tub chairs are very modern and even modern contemporary homes have elected to have tub chairs in their lounge. We are here to help and assist with any questions you may have and we also provide a free design service with no commitment required from yourself as this ensures you are maximising your space and getting the look you want. We can design your room including the furniture you wish to purchase, from Leather tub chairs to black tub chairs. Tub chairs are really comfortable and affordable with us here at Café Reality. Many people prefer their tub chairs to stay stationary but they can still be stored away at short notice. Black tub chairs can be decorated with cushions so as to be inviting and offer more comfort. Leather tub chairs could be covered with a throw in the winter and look a whole lot more inviting to the customer. You can customise your black tub chairs to suit your personal taste or business needs which means that they will be unique to you. 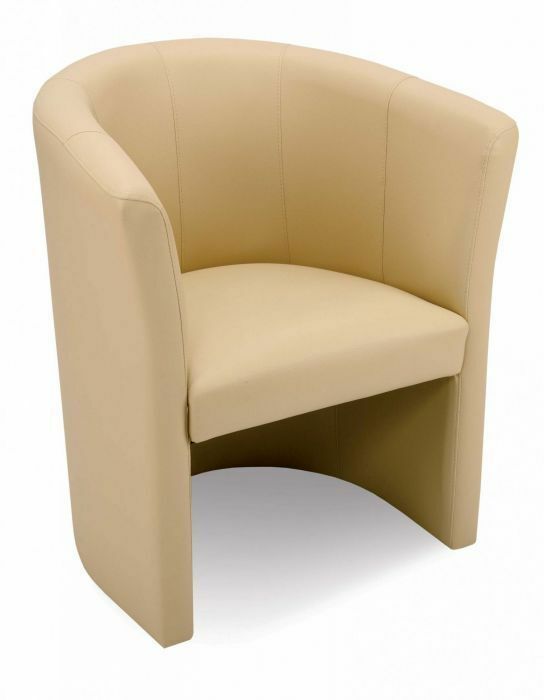 We can supply a wide range of tub chairs, tables and stools to suit any establishment or home. Giving excellent customer service is just one of our strong points. If you have any questions regarding your furniture tub chairs then our customer service advisors are on hand to help and assist in any way we can. Chairs come in all shapes and sizes nowadays and it is important that you do your homework before purchasing them. We have all the information that you may need and are able to answer any questions that you have so you can make your purchase in confidence.